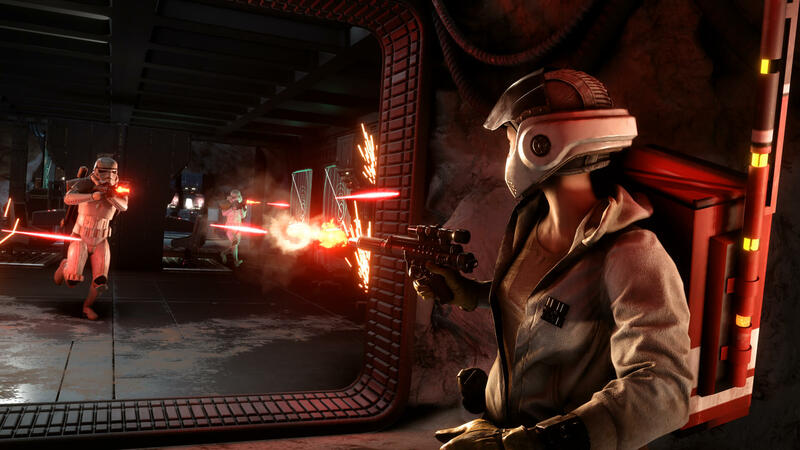 The Star Wars Battlefront file size has been revealed for PC, PS4 & Xbox One. The PC version of the shooter weighs in the heaviest, while the Xbox One version is the smallest. The PS Store has long listed DICE’s shooter with a minimum file size of 25GB, but this merely appeared to be a placeholder size. The actual size of the game on PS4 isn’t too far off though, as the official EA Star Wars Twitter account just tweeted the game’s size on Sony’s console – 23GB. The file sizes are modest, but Battlefront is mostly a multiplayer title with a few single player missions, and doesn’t include a true single player campaign mode. Taking this into account, the game’s file size is in line with recently released titles. Battlefront launches in 6 days for PC, Xbox One and PS4. Subscribers to EA’s ‘EA Access’ on Xbox One however, are able to enjoy the game tomorrow.